Our DigiPrint™ Grocery Tote features our own proprietary 2-ply laminated polyester canvas, and brilliant, high-resolution, indelible dye sublimation printing. Two wide nylon straps provide over-the-shoulder carrying comfort. This bag has the same dimensions as our tried and true cotton canvas grocery tote, making it the perfect companion for daily errands and trips to the grocery store. 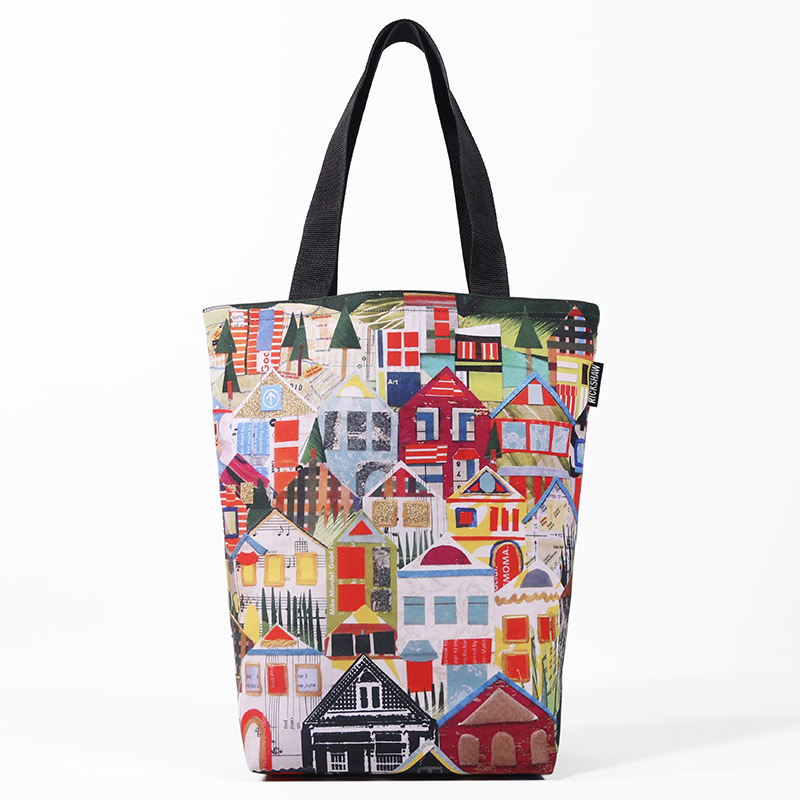 This bag features original artwork by San Francisco artist/designer Jennifer Clifford. Each bag is printed, cut and sewn right here in San Francisco! We're pleased to offer our Grocery Tote – the perfect companion to a shopping trip at the Farmer's Market, day at the beach or daily errands that would otherwise keep your arms full. After trying dozens of sizes and shapes we picked a silhouette that we felt offered the best form and function. With its long form, and long handles the grocery tote provides ample room for a load or groceries, but remains sleek enough to be thrown over your shoulder and used as a day bag on your next adventure.